Q. How do I request a single journal volume from Prospector? 1. Search Prospector for the journal title. 2. Select the journal title you are seeking. This will take you to the record for the entire journal (all the volumes available through Prospector). 3. Check to make sure the volume you want is available. Different volumes may have different borrowing privileges and some may be non-circulating. Save yourself some time by confirming the volume you want is available, denoted by the word AVAILABLE in all caps on the far right side of the screen. 4. Use the "request it" button near the top of the screen to make a request. At this point, you will NOT select which volume you want but don't worry! You will have a chance to do this later in the process. 5. Follow the instructions to select your institution. 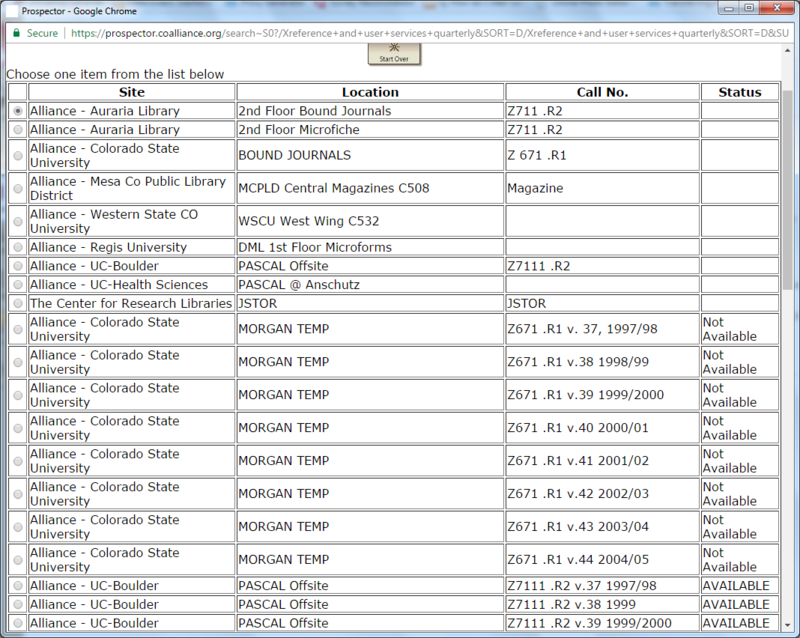 If you are a DU student, select "U of Denver" from the drop-down menu. 6. Enter your name and 87 number and hit "submit." Again, at this point, you will NOT have selected a volume number and that is okay! Keep going! 7. After you hit submit, you will be prompted to select the journal volume you want. 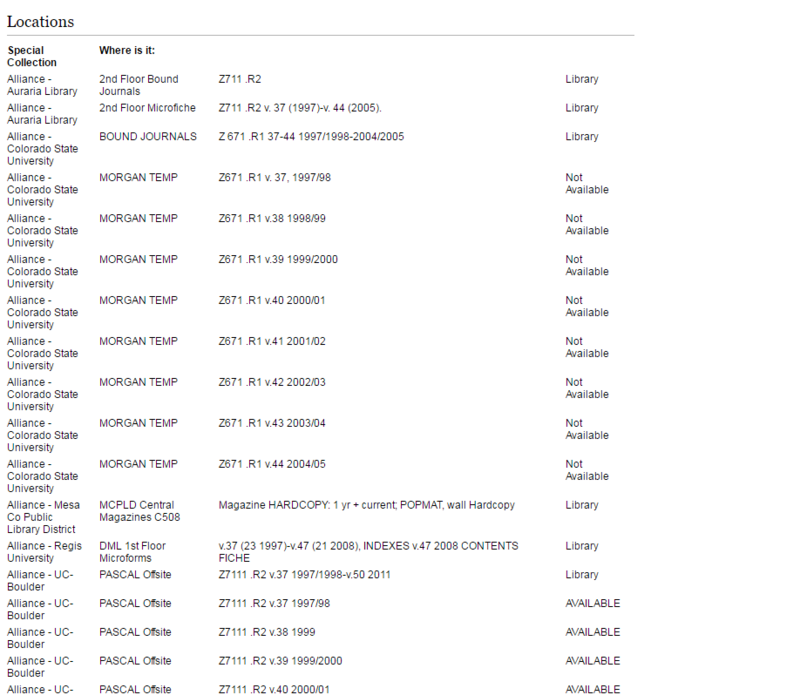 You should note that all journal volumes are displayed, even those that are not available to borrow. If you select a volume that is not circulating, you will receive an error message. Select the journal you want and make sure its status is AVAILABLE. Then scroll to the bottom of the screen and hit "request selected item." 8. Success! Your requested item should arrive in about a week.